Canada's answer to Christian Pulisic? The Great White North's most exciting soccer export since Paul Stalteri? Shades of Arjen Robben and Lionel Messi in one freakishly gifted pair of feet? 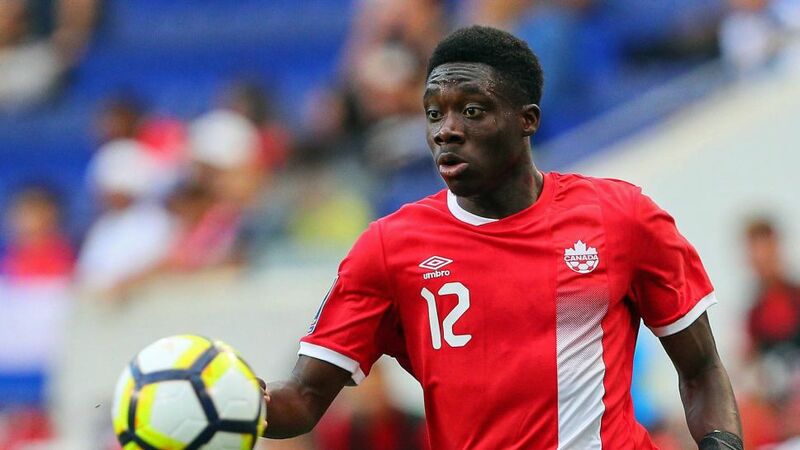 Alphonso Davies' transfer to Bayern Munich has got the whole world talking. Davies was born in Buduburam, a refugee camp in the Gomoa East District of Ghana, where his parents had fled to during the Second Liberian Civil War. The family moved to Windsor, Ontario, when Davies was four, and later settled in Edmonton, Alberta - but it was a further 13 years before he would receive his Canadian citizenship. "It's a great honour to be able to call myself a Canadian citizen," Davies said in June 2017. "I'm also extremely thankful to my parents for everything they've done throughout the years, carrying the family to this safe environment. This is our home. This is where I grew up." Boy, did he grow up. Following spells with Edmonton Internazionale, Edmonton Strikers, the St. Nicholas Soccer Academy and the FC Edmonton Academy, a 14-year-old Davies made the move to Vancouver, joining the Whitecaps Residency programme's U16 team. His progress was rapid and, after becoming the youngest player to appear in the United Soccer League, he made history as the first player born in the 2000s to play in the MLS - aged just 15 years, eight months and 15 days. The records continued to tumble after Davies was named in the Canada squad for the 2017 CONCACAF Gold Cup. Not only did Davies establish himself as the The Canucks' youngest ever goalscorer and the youngest to score at a Gold Cup with his brace against French Guiana, he also became the first player born in the 21st century to score at a major international tournament. No wonder Davies went on to claim a second successive Canada U17 Male Player of the Year award. A left-footed winger armed with a low centre of gravity and more tricks up his sleeve than the late Harry Houdini, Davies readily admits to modelling his game on Barcelona and Argentina legend Lionel Messi. "I've been trying to copy his style of play, but the thing is that he's a little bit shorter than me and my legs are long, so I have longer strides," he told AFTN. "I usually just keep the ball and use the pace that God gave me to get past players."